In the Laboratory of Cellular Ageing (LCA), you can pursue your research-based studies for earning degrees of B.Sc., M.Sc., Ph.D., and beyond, under my guidance and supervision, with and without collaboration with other groups. 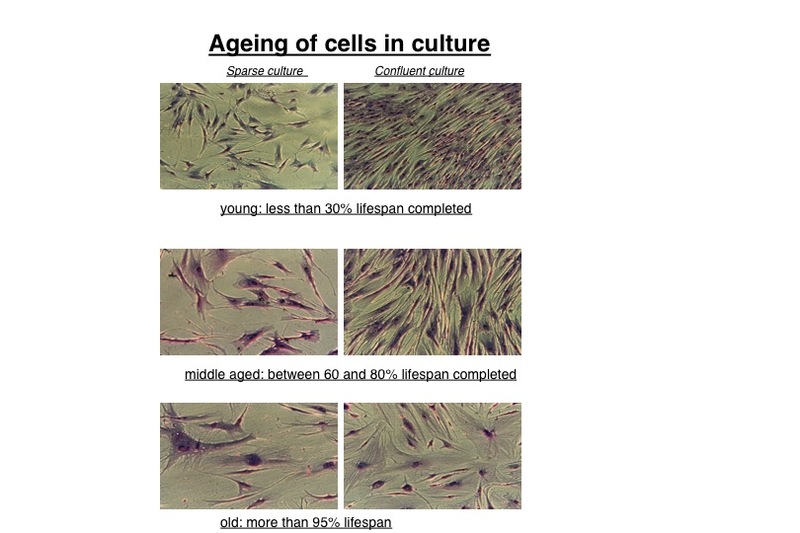 The main experimental model system used for ageing studies in the LCA is the so-called Hayflick system of cellular ageing in vitro, using human skin fibroblasts, keratinocytes, endothelial cells, osteoblasts, and bone marrow stem cells. (see the picture below of human skin fibroblasts undergoing cellular ageing in vitro – the so-called Hayflick system). Please note that LCA does not work on any specific disease and its treatment. LCA is not anti-ageing. LCA is for healthy ageing. – To identify various types of molecular damages during cellular ageing, and to determine the relevance of different damages with respect to their impact on cellular functions, including lifespan. – To establish the biological effects of mild stress-induced hormesis in human cells with respect to ageing, longevity, and functional characteristics, such as cell migration, wound healing, angiogenesis, differentiation and stress tolerance. – To establish the criteria for evaluating hormesis by the analysis of stress pathways during ageing, and the application of these criteria for the identification of potential hormetins from nutritional sources and from natural and synthetic compounds. – To apply hormesis in the prevention or treatment of various age-related phenotypes which lead to the emergence of diseases, such as neurodegenerative diseases, ocular diseases, metabolic syndromes, osteoporosis, sarcopenia etc. – To understand health in measurable biological terms, such as stress response profiles, and other characteristics of the homeodynamic space.